The latest legal pursuit is that of an insurance syndicate of British insurer Lloyd’s, which says the Kingdom of Saudi Arabia, its banks and various charities should be financially responsible for the $215 million it paid in insurance settlements to 9/11 victims’ families. William Doyle’s family is one of the families determined to find those who funded the attacks on 9/11. 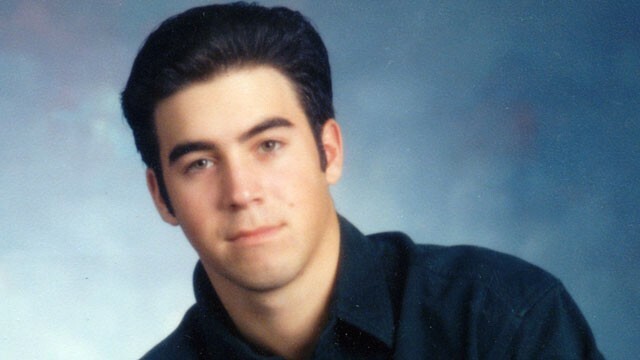 Doyle’s son, Joseph, was killed in the north tower of the World Trade Center. William Doyle told ABC News there are “concrete facts” showing the majority of the hijackers’ funding originated from Saudi Arabia. He said the government helped “shield” some of that evidence when the joint congressional committee investigating the attacks published a report in December 2002 and redacted about 28 pages. Thousands of individuals and companies are still pursuing a multi-district litigation suit in New York called “Re: Terrorist Attacks on September 11, 2001,” which has dismissed about 127 defendants, according to the law firm Motley Rice, which represents 6,700 individuals for that case, including Doyle. There are about 24 remaining active defendants, says Motley Rice. Craig Unger, journalist and author of “House of Bush, House of Saud,” said there is widespread reason to believe prominent Saudis were funding terrorists through Islamic charities. But the United States-Saudi relationship is “duplicitous from both sides of the fence,” in part because Saudi Arabia is the world’s largest oil producer and exporter. Despite unanimous dismissals of Lloyd’s nine defendants in cases in New York, the insurer’s suit, filed in a federal court in Pennsylvania on Sept. 8, claims “al Qaeda would not have possessed the capacity to conceive, plan and execute the September 11th attacks” without the funding. Sean Carter, an attorney with law firm Cozen O’Connor, whose client is the Lloyd’s syndicate, said the lawsuit seeks recovery for amounts that were paid to settle claims brought against airlines and security companies related to Sept. 11. “The theme of the lawsuit is that the ultimate responsibility for a terrorist attack of this nature should rest with parties that were intentional actors rather than parties alleged to have been merely negligent,” Carter said. “Though this case has a different plaintiff, the suit is essentially based on the same claims around the tragic events of 9/11. However the court has dismissed most of the defendants,” Lynne Bernabei of the law firm Bernabei & Wachtel, representing the Saudi Red Crescent Society, told ABC News. Only one victim’s family is still pursuing litigation against United Airlines and security company Huntleigh under the plaintiff’s arguments they were negligent in failing to prevent the attacks. A hearing will take place Monday in New York with a trial date scheduled for November. Photo: ABCNews, courtesy William Doyle.